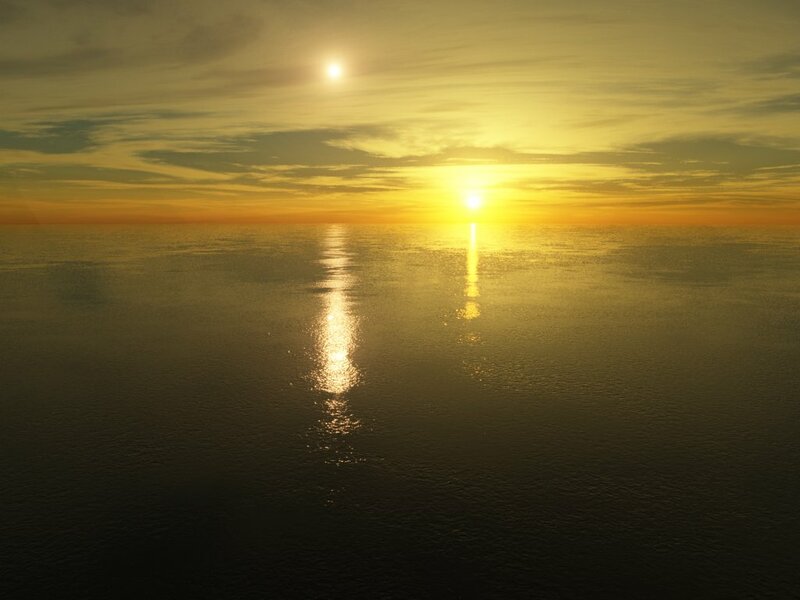 The planet Oceanis orbits a close binary consisting of a yellow and an orange star. 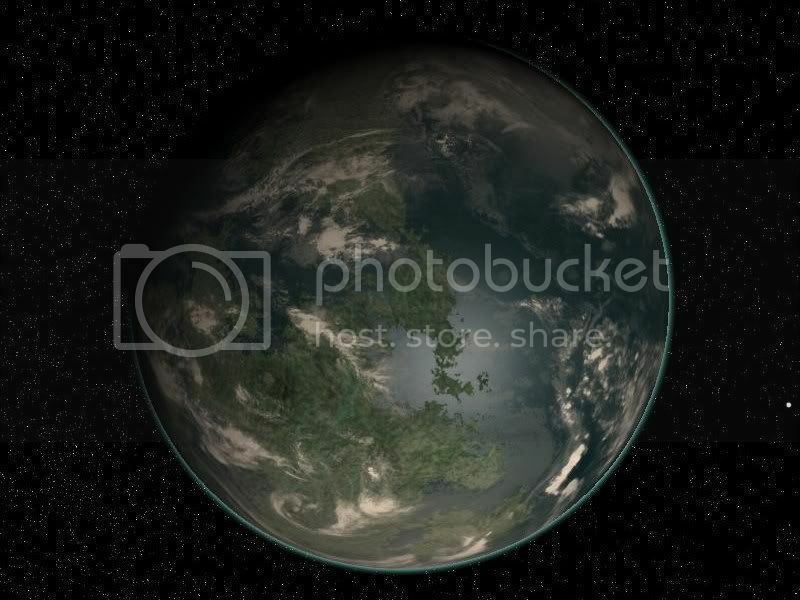 The surface is covered in a global ocean thats dotted with green islands. The planet's orbit has a high eccentricity bringing it closer then farther away from the sun. 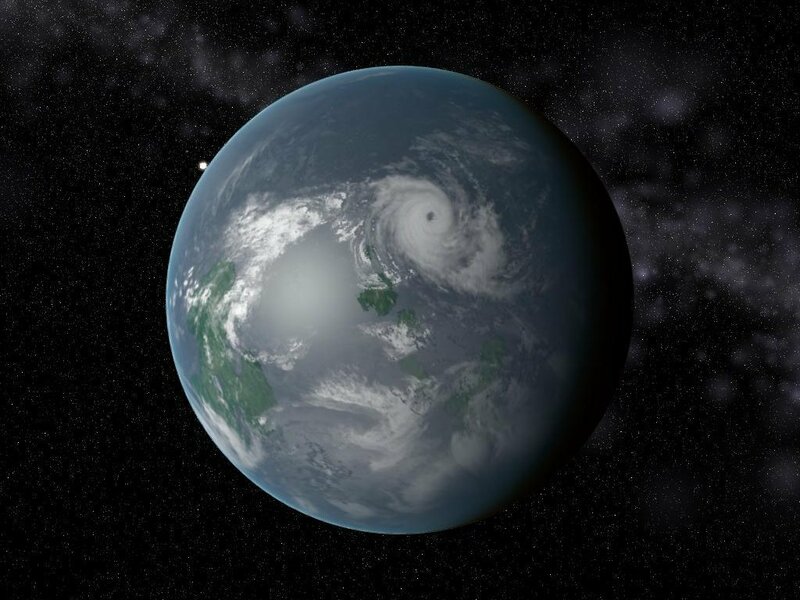 During the summer the cold oceans start warming up as the planet moves closer, causing massive hurricane like storms that sweep across the planet. 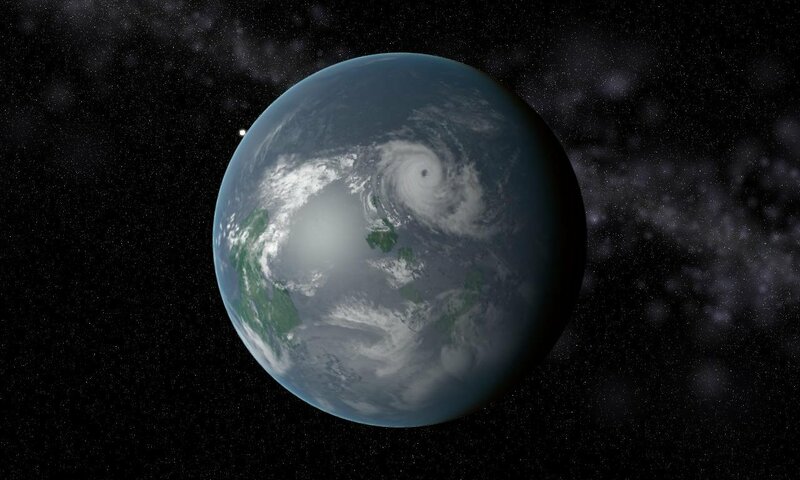 The storms are larger than anything seen on Earth.